From the moment you drive up you'll know this is the one! 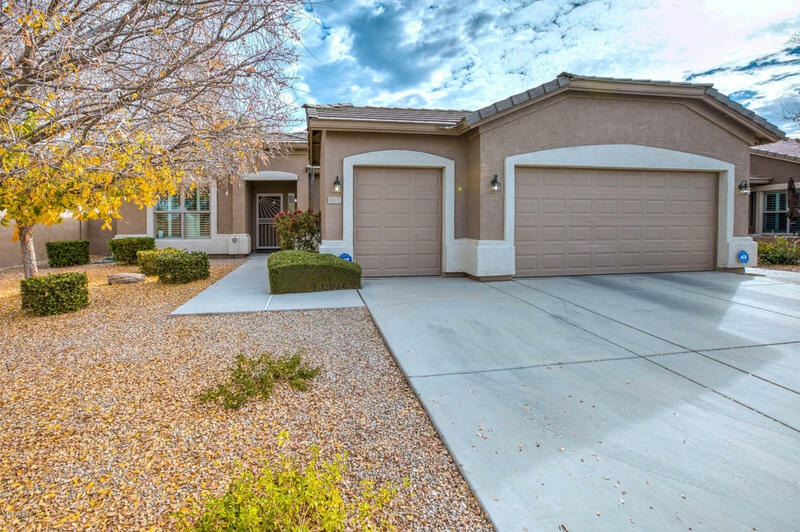 This home has been meticulously maintained and is truly immaculate! Located in the sought after gated active adult golf course community of Solera. The great room floor plan flows beautifully and features wood laminate and tile flooring. Granite counters and a bayed eating area accent the open and bright kitchen. The master suite is split and spacious. Plantation shutters adorn the windows. Outside you'll find a very private easy care backyard with an oversize covered patio. In addition to the 2 car garage, there is also a golf cart garage.